5 December 2017: Hon. Clare Curran, Minister of Broadcasting, Communications and Digital Media, has released a report describing the digital divide in New Zealand. Ms Curran says: “We’re doing well in terms of improving connectivity for New Zealanders, but while more people are getting better connectivity, more people are also being left behind. “Families on low incomes, seniors, and people living outside urban areas are becoming increasingly disenfranchised by lack of access, the inability to afford the internet or a lack of skills or motivation to be digitally capable. The report sets out the need for a single, nationwide policy framework on digital inclusion in New Zealand with input from digitally disadvantaged groups and informed by robust economic data. “We know not all New Zealanders are participating equally in the digital world – and we need to better understand why that is, and what solutions may be effective in changing that,” Ms Curran says. This report, together with other research and data that is currently available, will be a valuable input to the development of the new government’s blueprint for digital inclusion which we will be developing with the assistance of a soon to be established Advisory Group. “The group will help us explore the complex but fundamental issues of how we can reduce the gap between the digital ‘haves’ and ‘have nots’ and will help determine what skills Kiwis need to be ready for the jobs of the future,” Ms Curran says. The role of digital capabilities or skills, are there particular capabilities that appear most valuable to have, and do these capabilities appear to have any impact on economic and social wellbeing? 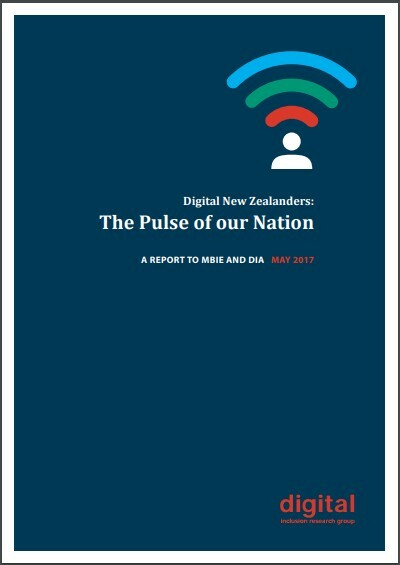 What research and interventions have been undertaken by other countries into the value of trying to increase digital inclusion in their populations, the results these have had and what interventions have also been undertaken in New Zealand to lift digital inclusion and what results these are achieving? Whether any of these interventions could be suited to New Zealand’s specific circumstances and populations. The research was commissioned by MBIE and DIA and was written by an independent digital divide/digital inclusion research group that included (among others) 20/20’s Laurence Zwimpfer and Barbara Craig, and Catherine Cotter who subsequently became a 20/20 Trustee. Published in May, the report has been released by the new coalition government.